When it comes to curb appeal, you want your house to stand out above the rest. This can be possible with the landscaping services of Goffstown Green Thumb Landscaping and Irrigation. We are a professional landscaping company that proudly services Goffstown, New Hampshire and serounding towns. We have the best equipment, landscape design ideas, and professional staff to help make your yard look its very best, and with over 23 years of experience in the landscaping business, we are ready to help you in creating a beautiful landscape. Having a well-manicured lawn doesn’t mean you have to spend a ton of money and invest all of your free time. 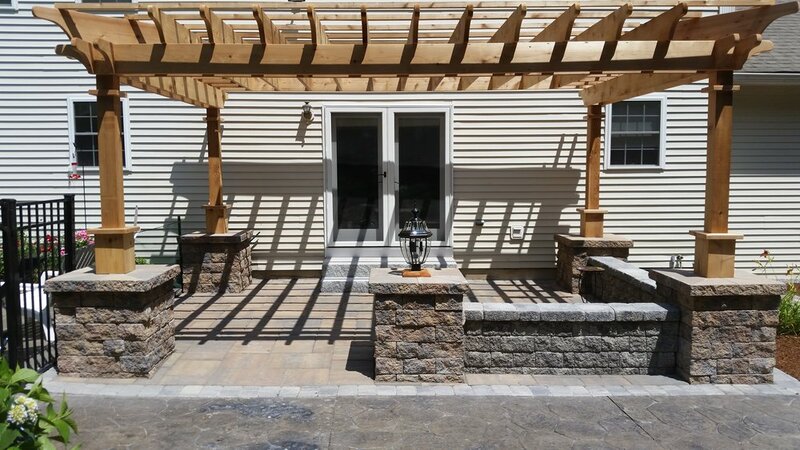 To plan smart, start with the assistance of a professional landscaper like the ones here at Goffstown Green Thumb Landscaping and Irrigation. We can help you decide which landscape design will best suit your yard and budget. Our services also include Hunter irrigation system installation and maintenance of Toro automatic sprinkler systems. When the weather gets hot and the sun is blazing, you will want to make sure your grass stays nice and green. Our professionally installed irrigation systems will guarantee just that. Find out about our Company and services we provide. We accept credit cards for all services, for any invoice over $250.00 there will be a additional 3.5% credit card fee invoiced to you after the payment of your invoice.